David Slate, has to continue what CW started.... I wonder if David can out do him.... that would be so hard. i loved the proposal scene too. can't wait for the DVD so i can appreciate the scene more (the people in the theatre groaning kind of ruined the moment for me. I cant wait to see it a second time as I loved it. The humour was great, the acting was better. I really liked the contact lenses in this one as they were clearer to see and brighter. I thought I was going to cry when Edward left Bella in the woods but I didnt. It wasnt until Bella was just sitting on her chair as the world went by and seeing her suffering in her sleep that I cried. I also cried a little near the end when Jacob, Bella and Edward are all in the woods and Jacob sculks off as a werewolf into the forest after realising he has lost Bella to Edward. I really felt for Jacob in the film. If I'm honest with myself, I had high expectations for this movie even though I know I shouldn't have. Then I saw the movie and my expectations were EXCEEDED! I don't think it's possible to be any happier with the way this film turned out. All of my favorite parts were mentioned already, but I did want to talk about one part that wasn't mentioned yet (that I can remember anyway). When Alice's vision of Bella becoming a vampire came on, the audience laughed really hard. Granted it did seem funny if you didn't read the books, but I thought it was beautiful. Seeing Bella as a vamp was absolutely fabulous! Makes me more anxious for BD. I cannot wait! I loved how they showed Harry Clearwater's heart attack/death. Victoria almost killing him and then werewolves attacking her was brilliant. And then seeing her jump into the water and Bella seeing her was also brilliant. Laurent almost attacking Bella and then seeing how he got ripped up was perfect. I didn't think they'd actually show him kicking the bucket. Lol. I can't wait to see this movie again! Last edited by DarkMuse on Sat Nov 21, 2009 5:22 am, edited 1 time in total. DarkMuse wrote: All of my favorite parts were mentioned already, but I did want to talk about one part that wasn't mentioned yet (that I can remember anyway). When Alice's vision of Bella becoming a vampire came on, the audience laughed really hard. Granted it did seem funny if you didn't read the books, but I thought it was beautiful. Seeing Bella as a vamp was absolutely fabulous! Makes me more anxious for BD. I cannot wait! I laughed too when I saw that scene, it was totally ridiculous imo. I just don't get the clothes, when on earth would they wear that sort of thing? If they'd worn normal outfits and the setting wasn't so "idyllic", it would've been fine. I have to admit though, I also just didn't like seeing her as a vampire. I don't know why though. It looked so odd. Aus_Twilight_Fan wrote: i loved the proposal scene too. can't wait for the DVD so i can appreciate the scene more (the people in the theatre groaning kind of ruined the moment for me. Ah, same here. I went to the midnight showing so I expected everyone there to love the story, but there were many people who were laughing all the way through (including some very emotionel scenes that I loved) and making rude comments. I tried to ignore it but it did bother me. I absolutely loved this film. It was exponetialy better than Twilight. I pretty much agree with the favorite parts and least favorite (really, that vision scene was poorly done - everyone in my theater laughed) of everyone else, there are just too many too list it is crazy. The writing was so much better, the clothing (I want everything the female characters were wearing basically), and the makeup. Just want to leave with Sheen was the perfect Aro, it's like he jumped out of my head! Nikki-- wrote: The music was also perfectly picked. It's a lot calmer and sadder than the music of 'Twilight' and used brilliantly. They knew when to stop the music and just let the dialogue speak for itself, which made those scenes so much stronger. I agree and I have to say that the music of the break up scene was incredibly perfect for that moment. It sounded like you could hear her heart beating. Added to Kristen's acting I felt I was going to pass out! And the best musical silence EVER was during that final question from Edward!! Nikki-- wrote: The scene where she sits in the chair in front of the window and the names of the months pass by is also just brilliant. I was really hoping they would incorporate it in the film. The expression on her face is spot on. I agree!! She was so "gutted" (to use KStew's words) that it was a hard scene to watch. It hurt to see Bella like that. She was dead. I'm really glad they put it in the movie too, 'cause I think that those one word pages in the book were perfect! Zina wrote: Opening Scene - it was done so well. I'm glad they left that part in the movie because I do think it was an important theme in the book and for those who would have gone to see the movie without reading the books I think it really needed to be emphasised. Do you mean the dream? I agree with you. I loved how they connected the preface to the dream! And I have to add the very beggining... the gigantic moon dissapearing slowly to reaveal the title... it settled the mood, with the music and all.. it was breathtaking! Zina wrote: Breakup Scene - ...I thought it was heartwrenching and she portrayed the emotion perfectly. Again, I agree! When she started to breathe loudly I felt it in my chest! The music that complemented it was perfect too. Zina wrote: JACOB! - Though I am Team Edward through and through I was absolutely blown away with Taylor's performance and PHROAW! Take your shirt off anytime Jacob I'm now seeing an appreciation for the wolves! Shirt comment aside, the ACTING was incredible! He nailed the mood change from Sunny happy Jacob to Serious Wolfpack Jacob, to angry at Bella, to guilty for feeling angry, etc. I can see why he said his break up scene in the rain was his favorite. Another heartbreak! And Bella begging for time... it was devastating... again! Loved that! I hated that they never mentioned them in Twlight but had no idea how they would do it in New Moon. 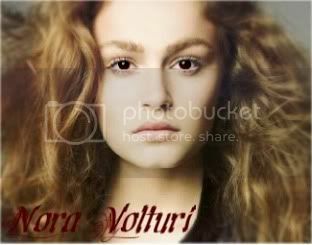 DarkMuse wrote: When Alice's vision of Bella becoming a vampire came on, the audience laughed really hard. Granted it did seem funny if you didn't read the books, but I thought it was beautiful. Seeing Bella as a vamp was absolutely fabulous! Makes me more anxious for BD. It thought the same. People didn't laugh in my case, they went "Oh!" and "Awww!" (as in "Isn't that cute?") It was my favorite part... when they started zooming in to Aro's eyes and I figured what was coming I couldn't believe it!!! I'd seen the screen cap of that scene but I never knew what it was, so it surprised me! I have to say they should have been wearing different clothes, 'cause it looked like it was the past and not the future, but it was perfect anyway. I loved the fact they were running and Bella was running faster! lol Just a beautiful scene... so "breaking-dawnish". DarkMuse wrote: I loved how they showed Harry Clearwater's heart attack/death. Victoria almost killing him and then werewolves attacking her was brilliant. And then seeing her jump into the water and Bella seeing her was also brilliant. I agree! They way they coordinated Harry's death, to Victoria in the water, to Bella's cliff diving was perfect! In the book you know it's all simultaneous but Bella hears it by bits. I loved the wolves chasing Victoria through the woods! I was so glad to see more of Rachelle considering it turned out to be her last appearance in the saga. Two things about this! First: I agree. It was one of my favorite 'additions' in the movie. I wasn't expecting that... I say te same words: awesome and heart wrenching! The statue is not from Romeo and Juliet. That's the "Cristo redentor" from Rio de Janeiro, they were just showing were in the world he was. About Romeo and Juliet, I loved they kept their conversation from the book. And Edward speaking the words of Romeo... he looked like he was gonna cry! I got goose bumps in that scene. I don't know who commented on Mike, but I disagree, I loved him!! He owned his scenes, it was perfect. As annoying as the book! lol. I also loved Charlie coming in to comfort her every night. I'm glad they didn't respect the book in that case, first of all because I wanted to see more Billy Burke, and second because I loved they showed more of Charlie/Bella relationship. It was the cutest thing!! I'd go on forever... I loved the entire movie!!! OH MY GOSH!!! I totally LOVED the movie!!! I was so excited that I was bouncing up and down in my seat in anticipation. I don't have a lot of time, but I'll be on later. But Jacob when he cuts his hair and went shirtless most of the time made my heart melt!!! OMG!!!! And Kristen's expression during her "zombie phase" was PERFECT!! "My kung fu is strong." Lol! The action sequences where AWESOME!!! Alice's stolen porche was TOTALLY SWEET!!! There are so many things about this movie that I loved it would take all day to discuss them! Here are a few of the highpoints for me. I'm sure there will be more as I am seeing the movie twice more this weekend. The Beginning: Brilliantly done! The whole dream sequence was pivotal and I am thrilled with how well they incorporated it into the beginning of the movie. Bella seeing herself in the mirror as the old woman...Edward standing beside her as his never-aging gorgeous self...And then they went straight into the "Happy Birthday" stuff. Charlie's comments were priceless!! The school parking lot scene was perfect. LOVED the kiss between Edward and Bella! The Break-up Scene and Bella's Depression: Kristen portrayed the pain perfectly! Rob was also perfect in his portrayal of pain...SM vampires can't cry, but he made it look like he would if he could. I expected tears to fall at any moment...Mine did! I cried during the months passing scene...which was also PERFECTION! I loved the way the scenery changed for each month and how Bella's pain was so evident. Emmett -- older woman comment!!! Love the facial expressions!! Bella -- Not into the cougar thing! Too bad, because I sure am!! Alice -- As soon as you put the dog out! Baahaaa!! Like I said, there were MANY MANY MANY more...want to move on to other threads for now. We will have sooo much more to discuss for weeks to come!! they should have been more subtle. Jacob wasn't that all arrogant too. too bad they cut that one off.